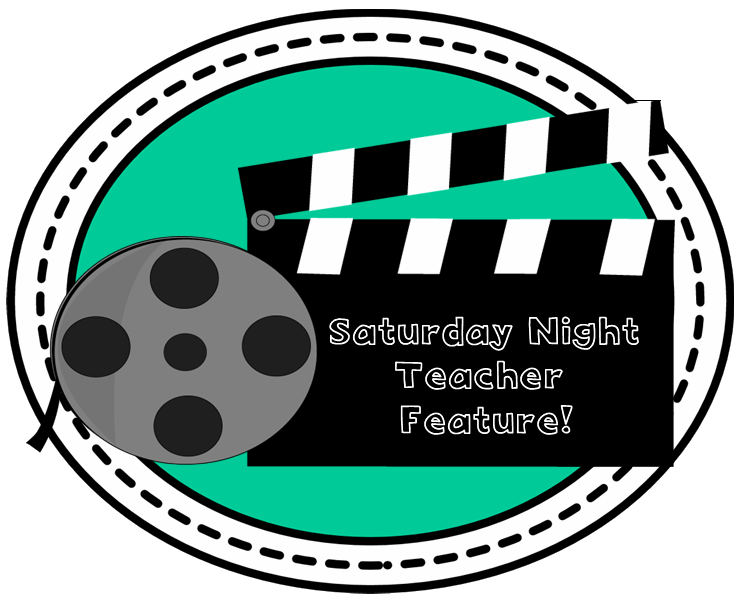 The Primary Treehouse: Saturday Night Teacher Feature!! Being a teacher can be so difficult. Aside from just day to day teaching, we have to attend meetings, talk with parents, fill out paper work, find and create materials, grade papers, plan, plan, plan, etc. etc. etc! Often times it seems that we cannot do enough. Today, several of my teacher friends are taking some time out to recognize how hard every teacher works. We have had the amazing opportunity to get to know each other, share ideas, and learn from each other. Today is our day to "feature" other teachers and recognize their amazing work! Without further ado.... 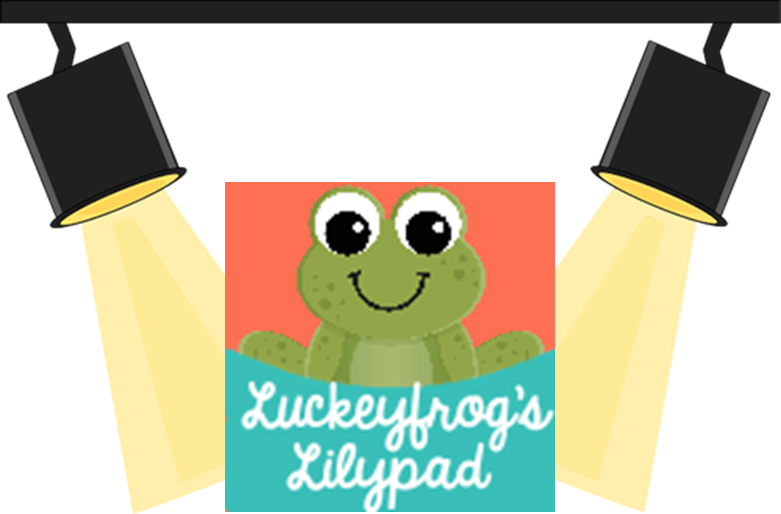 I present my friend Jenny from Luckeyfrog's Lilypad! Jenny and I met through a collaborative group of reading teachers. We began as a group of bloggers planning fun hops together. Our group shared ideas, encouraged one another, and just provided some much needed support and collaboration! Eventually, we decided to come together and create a collaborative reading blog, Adventures in Literacy Land. Now, we can work even closer, sharing products, resources, ideas, and feedback. Jenny is by far one of the most positive and supportive teachers in our group. Although I have never had the opportunity to meet her face to face, I know that Jenny is an amazing person and teacher. She is creative and outgoing. She always sees the bright side of everything. She is helpful, patient, and kind. "I started college as a biology major, so I still have a really strong passion for science. I love incorporating science and social studies into my literacy and math teaching, especially through cohesive units. It gets kids excited about learning, but it also helps the learning make more sense to a lot of kids- and I think it's more authentic than learning everything in isolated subjects because they are really applying more skills. 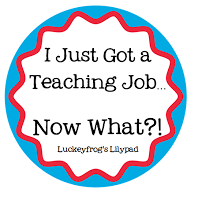 Now, I'm teaching as a reading specialist for grades 2-5 in the morning (although I also have a math group and teach science to one student) and a Title I teacher for kindergarten small groups in the afternoon. 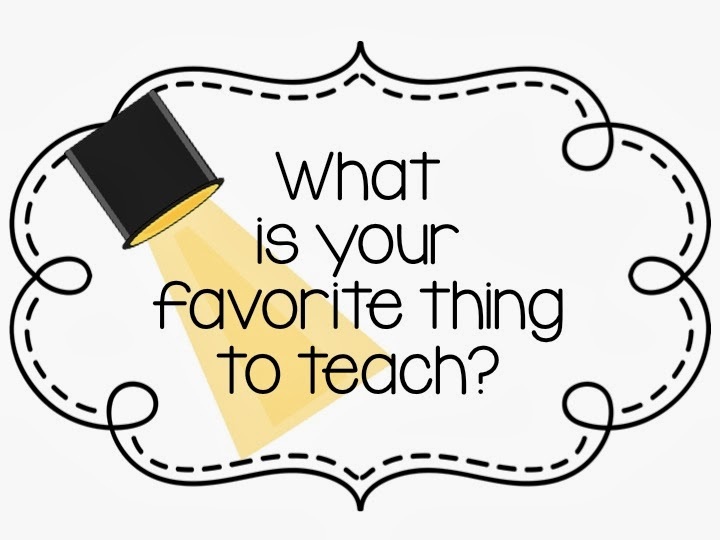 My three years now working in intervention, along with my two years teaching 2nd and 3rd grade, have really given me a passion for helping struggling kids catch up and learn to love learning again." 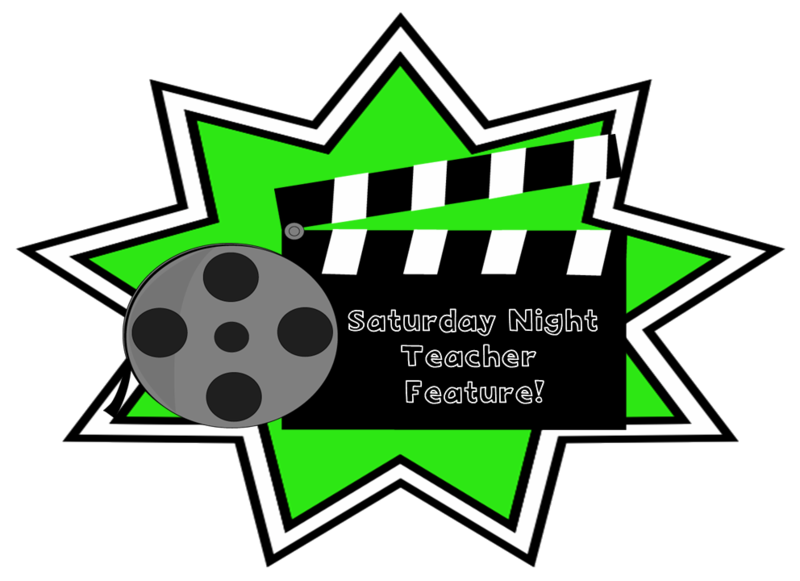 "I love teaching science, especially when I can incorporate other subjects, too. 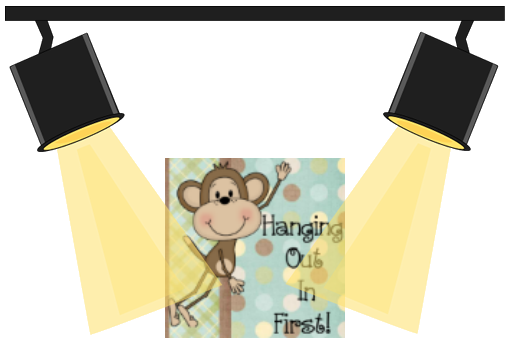 A lot of teachers claim that their favorite moment is the lightbulb moment. And of course, it's great to see a kid finally *get* something- but sometimes that fades away again. For me, the best moments in teaching are those moments where I see a kid truly discover a passion for learning that they didn't have before. When I catch a kid who hated reading being completely sucked into a book, or when a kid asks if they can stay in from recess to finish something, or when a parent tells me that their kid came home and insisted on learning more about something we talked about in class... well, it just makes my heart happy. I have always loved reading and learning- but for some of my students, the joy of learning is a new discovery, and I know that discovery can change their lives forever. Yes, as a reading specialist I also love seeing a kid "catch up" and knowing that they're on track- but the passion for learning and confidence in themselves are things that matter even more than if they're above or below grade level." "As a teacher, I have the unique opportunity to impact that kid's entire life, each day and into the future. Being a teacher is a huge challenge of my intelligence, creativity, and empathy, and every single day is different. I am never bored, and I will never get to a point where I can't improve more. Maybe best of all, I get to spend every day with kids- and while the impact I can have is amazing, kids are also a lot of fun (most days!) and we have the most incredible bond. I don't know too many people that can say they truly love the people they spend most of their workday with, but I can. "My" kids are absolutely one of the biggest reasons I do this job!" "I'm from Indiana originally but now live in Ohio. I'm married to an improv comedian who loves learning too (and spends just as much time as me reading random Internet articles or watching nerdy TV, and loves visiting museums and zoos with me!). No kids yet, but hopefully a dog very soon. I've taken dance lessons of some kind for over half my life, and photography is one of my favorite hobbies. I'm a huge football fan (go Packers!) and when I'm not watching way too much TV, I love spending time in nature! I'm still pretty new to teaching, but I got to be a 2013 Teacher Advisor for Scholastic Book Clubs last year and it was amazing!" Here are Jenny's " Top 3 Greatest Hits!" I have spent my morning reading through so many of Jenny's blog posts. If you have not checked out her blog, you really need to. She has so many wonderful things to share with you. It made it hard to choose something to highlight here! 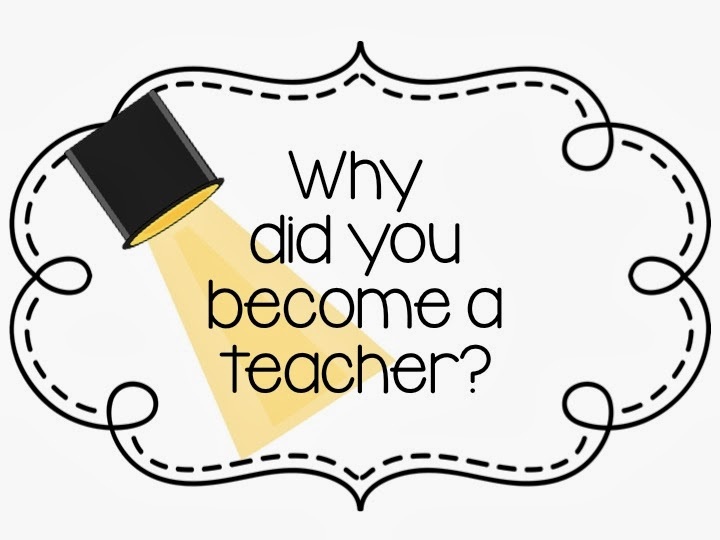 As a teacher leader and a mentor this year, I have found myself "going back to the beginning" and trying to really remember those first few years as a teacher so that I can better relate to my colleagues that I am working with. I found these posts on Jenny's blog that are so helpful and give amazing tips for ALL teachers, but especially those just starting out. She has an entire series of New Teacher Tips that are definitely worth checking out! 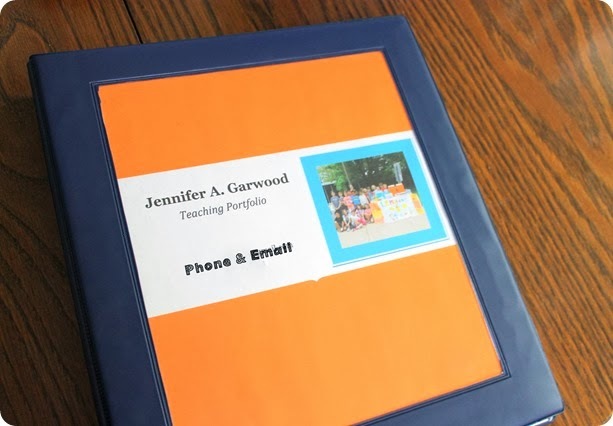 I also love her post about creating a teacher portfolio: How to Make a Teacher Portfolio that gets you a job! I especially liked this one, because it reminds me to update my portfolio and gives some great tips for organizing! I love using pictures in my blog and she has the great idea to include more pictures in your portfolio. This is definitely worth working on this time of year, as the interview season will be soon approaching! 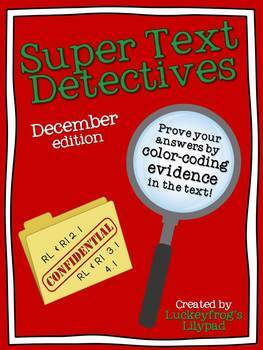 Finding the evidence in a text is something every student needs practice with. This seems to be a big stress with the new common core standards. Not to mention, how crucial it is as a test taking strategy when students are taking those dreaded standardized tests at the end of the year. 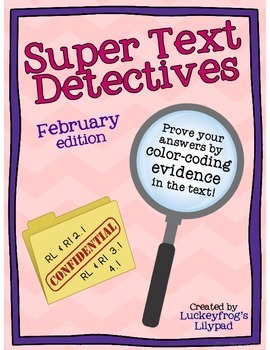 Jenny has the perfect packs for practicing this skill: Super Text Detectives! She has a pack for November, December, January, and February! Plus she is working on March! Each pack has several stories, both fiction and nonfiction. Students have to answer the questions by underlining the evidence in the story with a specific color. I also love how it gives students practice with answering all of the basic W questions: Who, What, When, Where, Why! These are perfect for independent practice, morning work, guided reading, centers....I could think of so many ways to incorporate these!! Setting up centers and my guided reading block takes up the majority of my planning time (as well as time at home). 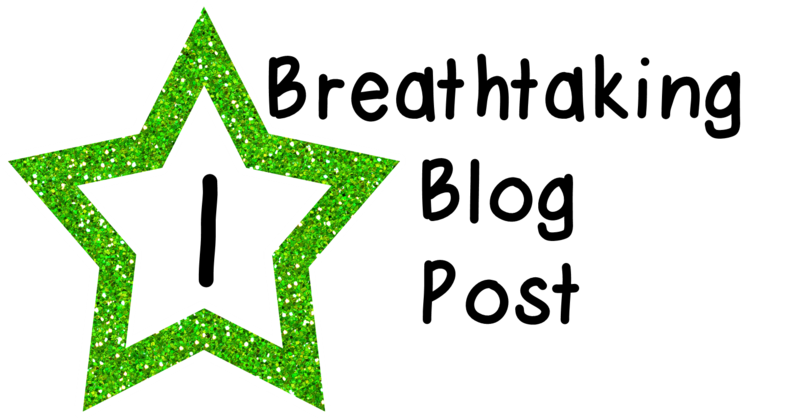 I don't know about you, but I like using the same types of centers year round, so my students will sometimes find themselves using a leprechaun themed center in December and a Christmas themed center in April. I don't have a lot of time to create new centers for every season and I prefer having centers that can be used at any time of the year. Do you feel this way too? 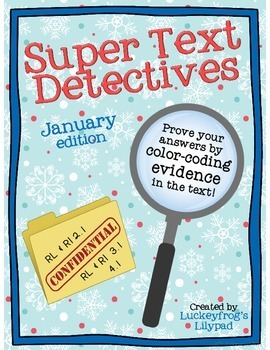 Jenny has a wonderful resource that you can use as a center year round. 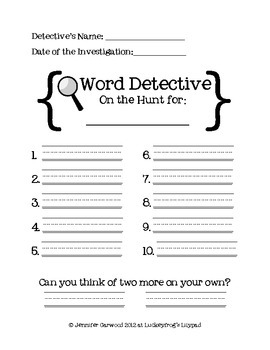 It is her Word Detective Center. With this center, all you have to do is change the type of word that students are searching for and it becomes "new" each time. There is no recreating the wheel! This is definitely my kind of center! 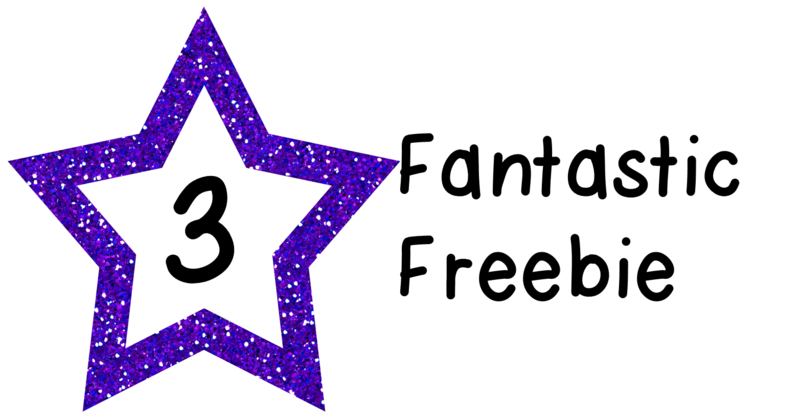 I hope that you definitely check out Jenny's blog and store. There are so many wonderful things to find there! 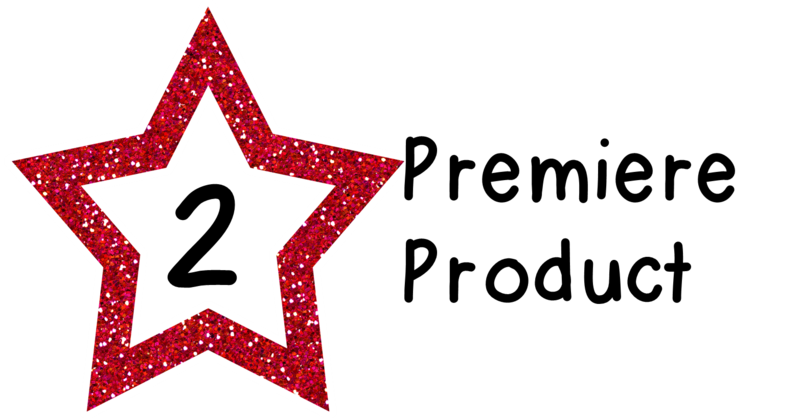 If you want to see more fabulous teachers, click on the linky below! 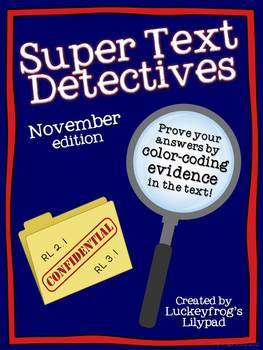 Jenny's Super Text Detectives are my absolute favorite for starting my students on the road to citing evidence!